125-03080 Features: -Excellent heat and water resistance. -Rust and oxidation inhibitors for superior metal protection. -Smooth, buttery consistency provides optimum surface coverage. -Produces a tough, high viscosity film. 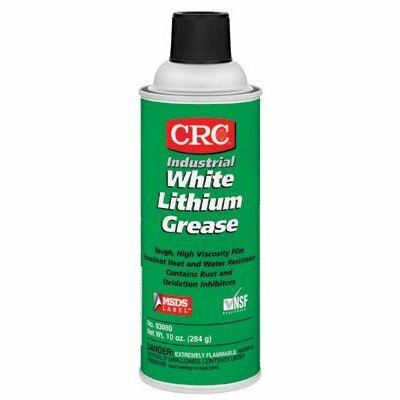 Product Type: -Lithium Grease. Dimensions: Overall Product Weight: -1.08 Pounds. A break-in lubrication for bearings. If you have any questions about this product by CRC, contact us by completing and submitting the form below. If you are looking for a specif part number, please include it with your message.